For women who prioritise comfort, these Green coloured yoga pants from Indian Manufacturer Julie India are a must-buy. These regular-fit yoga pants are extremely comfortable to wear, courtesy the 100% Viscose fabric. Perfect for yoga or workout sessions, these pants can be teamed with a T-shirt or a camisole. 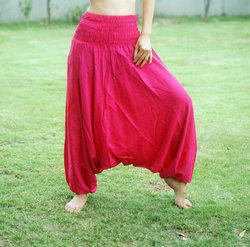 Being a most reliable organization, we are engaged in offering a wide range of Harem Pant. Being the foremost company, we are offering an exclusive array of Men Yoga Wear. Our offered array is famous for its attractive functions. We are dedicatedly involved in providing an excellent quality array of Plain Women Yoga Pants, for catering the various needs of our clients. 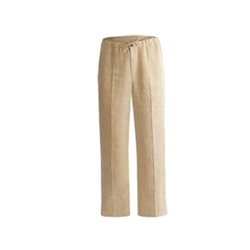 Description: Pant is made from Cotton fabrics and in waist area we have used lastic for good fitting. We have always taken care of stretch in yoga.